Michigan Tinting specializes in solar film, decorative films, uv protection films, security films and more! Our focus on commercial window tinting has become a practical solution to cutting costs and improving comfort in your workplace environment, a must for any size business. Whether it’s cutting those cooling bills, adding privacy followed by sleek aesthetics, you’ll be surprised at what a small investment in treating your windows will do for your business. See some of the instant benefits on your investment! We work with all different avenues of custom building. From architecture firms, customer builders, general contractors and property managers, we come up with effective solutions to solve your issues. We are able to work around normal business hours to fit your project’s schedule and workplace traffic. We are an insured company and practice safe business practices. 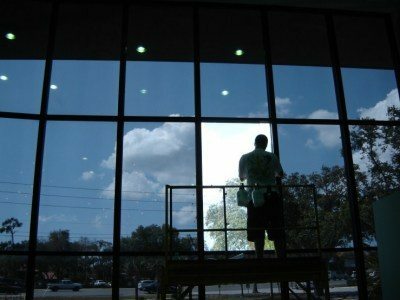 Let us show you how commercial building window film is one of the largest growing trends, as we move to conserving energy, protecting our investment, protecting workers, and ultimately gaining a return on our investment of window tinting. We offer free no cost consultations to discuss the options and instant benefits of commercial window film. Energy saving abilities; Summer heat reduction, winter heat isolation. These are great for those who would like to use professional grade film and tools. We offer bulk film and tools specific to your project and can ship to location or local pickup. Film Kits: Huper Optik & Suntek , HanitaTek, and more! Contact us to schedule a FREE business tinting consultation!